With a degree from the EM Lyon, he held sales and management positions with a global cosmetics leader before managing a communication and new technologies consulting firm. As a human resources and recruitment consultant since 1994, he has worked on Management and Executive searches as well as the evaluation of potential in the Consumer Goods, Industrial, Services, and Communication sectors. With a DESS in HR, after starting his career in the service sector, in sales and management positions, he managed the Hiring Department at one of the largest public transit companies for 9 years. Now he is in charge of leading the training-consulting activity and major hiring and evaluation projects in the Transport, Industry, and Services sectors. 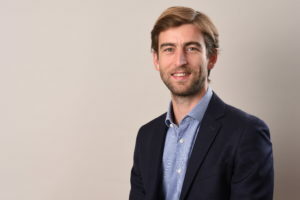 An IDRAC Lyon graduate, he was responsible for commercial team and agency management as well as regional coordination in a leading Transport and Logistics Group for over 10 years. He has been managing our Transport / Logistique-Supply Chain / Retail-Distribution Department since 2004 and specialized in Human Resource Consultancy and Management, for Major Account clients and both French and International Groups. He carries out research and selection missions for finding Executives, Managers and Experts; he intervenes in internal mobility consultancy actions and develops extensive projects regarding recruitment and evaluation. With a diploma from the Institut Commercial Lyonnais, he held the position of Controller for Sales and Marketing in France and for Exports for a luxury cosmetic products group for 8 years before moving into human resources and recruitment Consulting in 2000. He works in the selection and recruitment of Managers and Executives for the Finance, Industrial, IT, and Consulting sectors. 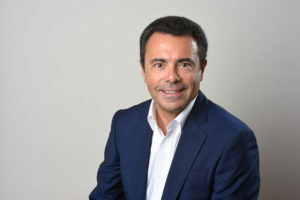 With diplomas from the University of Lille in Electrical and Electronic Engineering and Automation and from the International General Management Program at the ESSEC, he started his career as a Sales Engineer and then Product Director in electronic components and industrial instrumentation, where he worked for 10 years. 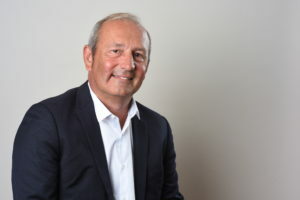 A Business Engineer and then Manager of the Sales Department and Member of the Executive Committee of a BtoB Services Group specialising in scientific and technical databases, in 2007 he took over Sales and Marketing Management for the French subsidiary of a Japanese Group offering IT solutions and services for Retail and Industry. 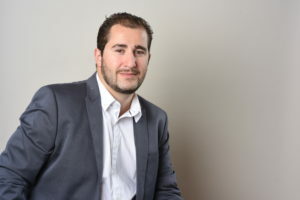 As a Recruitment and Human Resources Consultant since 2008, and Manager of the URVIKA office in Boulogne since 2011, he coaches SMEs and international groups in the BtoB services, publishing, and IT services sectors, the high-tech industry, energy, and e-commerce on their HR development strategies. 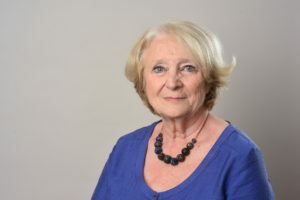 Holder of a DESS (specialised higher education certificate) in occupational psychology, she began her career within a reputed French mass distribution brand as a Human Resources and Recruitment Consultant. After 14 years’ rich experience in this highly competitive universe where she worked on all types of positions, in 2003 she joined the Franchise community as Development and Recruitment Officer for leading networks in their field. Motivated by the URVIKA Group’s project to develop a service offer adapted to franchise networks, she joined the team in 2017 to valorise not only her experience in the selection, recruitment and coaching of franchisees but also her knowledge of all the highly specific functions and professions of the head office and on-the-ground teams of the franchisors. With a Licence in Humanities and training in Psycho-Pedagogy, she has more than 25 years experience in leading Management, Oral and Written Communication, Orientation, Individual and Group Efficacy, and other training programs. 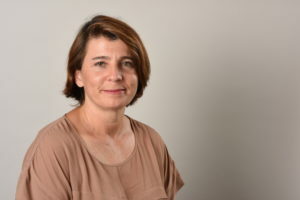 Specialising in “at risk or weakened (in positions with public interaction)” audiences, she works primarily in the difficult contexts of organisational and position changes. With a two-year Masters in Management from the IAE in Lille, she worked her way up for 20 years in international cosmetics and luxury goods companies, carrying out the responsibilities of Key Account Manager and sales team management. Attracted to human resources and organisations, she began retraining, joining a recruitment Firm specialising in a direct approach. Since 2010, as a Recruitment and Human Resources Consultant, she has supported major account, ISE and SME clients in the search for and selection of their future talents. Her expertise covers selection, recruitment and potential assessment for roles such as Directors, Managers, Experts and Sales staff. She works in a variety of sectors, including Industry, Pharmacy, Human and animal health, Aeronautics, Metallurgy, Cosmetics, Food and Agriculture, Construction and Land and maritime transport. In 2016 she joined URVIKA to develop its operations in the south-east of France, based in Aix-en-Provence. With a diploma from the ESC Bordeaux and an Executive MBA from the ESSEC, she started her career with the American group Estée Lauder. This was a foundation experience for her career, as her passion for the luxury products sector led her to hold positions of Marketing and Communication Manager in this sector for various international brands for twenty years. In 2007, her understanding of people and her involvement in Corporate Management led her to move into work as a human resources and recruitment consultant. 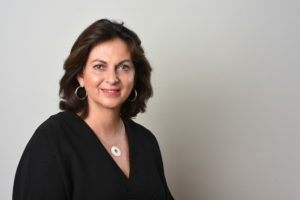 She is also trained in Coaching, and she works for the ESSEC Executive Education program on coaching candidates and participants in various training curricula. She joined the URVIKA Group in 2011, where she works on assignments to directly approach Executives and Managers in all activity sectors. 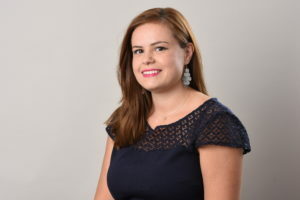 With a Masters in Social Law and a two-year Masters in Management and Human Resources Management from the ESDES in Lyon, she joined an international Temporary Employment company in 2006 as a Recruitment Consultant, specialising in the fields of Management, Finance and Accounting. She developed her client portfolio in these roles for five years, before joining the company’s Headhunting Firm, from which she broadened her field of expertise in marketing, sales, legal, human resources and technical roles. In 2013 she decided to take on a new challenge by participating in the creation and development of the Recruitment Division of another Temporary Employment company. 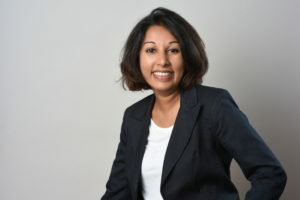 She joined URVIKA in 2016, where she works on recruitment and potential assessment projects for Directors, Top and Middle Managers, Experts and support roles for major account, ISE and SME clients, developing across varied sectors (Food and Agriculture, Industry, Property, Transport, Services, etc.). 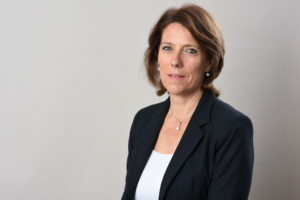 A graduate of CELSA in Paris, Annick Leveziel began her career path as Head of Communications for one of the world leaders in consulting and IT services. Four years later, she decided to move into Human Resources, undertaking specialised training at the Institut d’Administration des Entreprises (IAE) before joining a major national firm where she worked on Outplacement, Mobility and Recruitment projects. She then joined a headhunting firm in which she worked on recruitment for Marketing and Technical roles, as well as developing the HR department. In 2002 she was appointed Recruitment Manager and then Human Resources Development Manager for a well-known company specialising in audiovisual media audience measurement. In early 2015, keen to return to the world of Consulting, she joined URVIKA as a Senior Partner. She works on Recruitment and the Assessment of Directors, Managers and Experts in all business sectors, especially the Media world. As an Occupational Psychologist, she started her recruitment career in an American multinational working in the multimedia/IT sector, then worked with a Human Resources Department for an auto maker, a highly operational position, where she expanded her HR skills at a production site. Then she joined one of the European leaders in Transport and Logistics, where she created the position of Recruitment Manager and the Employment and Skills Management Centre at a regional office. For more than 6 years, she implemented HR tools, managed executive recruitment and interviews to evaluate potential, and monitored employee mobility and career management. She joined the URVIKA Group in 2008 as a Consultant. She works on recruitment and evaluation of potential assignments for Executive Managers, Top & Middle Management, Experts, and support positions for a wide range of customers, in particular, in Industry, Metallurgy / Plastics, Transport and Logistics, Distribution, and other sectors. After earning a BTS (Two-year vocational diploma) in Agribusiness and a university degree in Biology, she started her career in the Laboratory before moving into Recruitment and Human Resources Consulting. Starting as a search manager, she moved into a Consultant position in 2001. At the URVIKA Group, she works in the Agribusiness, Cosmetics, Health, and Life Sciences sectors. After a degree in European and international management, she works for 5 years in business positions leading at the same time a sustained activity in a theater group. The latter leads her to change her career path into human resources consultancy as a training consultant operating in different fields : management (from taking office to coach manager, in change management contexts) ; professional efficiency in particular priority management, self assertion and stress management,interpersonal communication, public speaking ; team dynamic : meeting, cohesion, work better together ; trade negotiation. As a certified coach, she also leads missions of support, individual coaching, and team building. 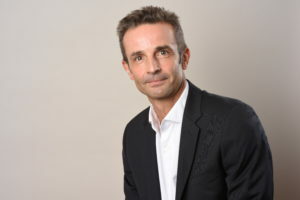 With a Masters in “Information and Communication” from the Institut Français de Presse (Paris II – Assas), he began his journalistic career in the printed press, before seizing the opportunity to help set up a recruitment firm in Paris. He helped to develop this universal yet small company for over nine years. Over the course of projects commissioned by major companies and SME/SMI, both internationally and in France, he developed a great deal of versatility through carrying out recruitment work for Senior Executives (Technical, Marketing, Financial, Human Resources, etc. Directors), Operational Managers and sales staff. Motivated by the ambition, resources and structure of URVIKA, and sharing the values of its directors, he decided to join the Paris branch of the Firm in 2015. At URVIKA he works most particularly in the recruitment and assessment of Directors, Managers and Experts for the Industry, Transport/Logistics/Supply Chain and BtoB Services sectors. 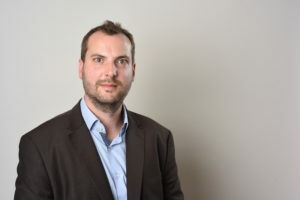 With a Masters in Sales Management of Sales Networks from the IUP in Colmar, Frédéric began his career as an Expansion Manager for a young franchise network of Games Centres for children, which he supported in its organisation and development projects in France. 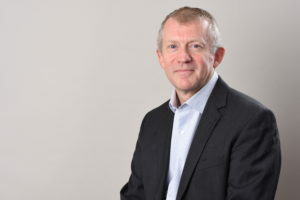 He then joined a large Human Resources, Interim and Recruitment Consulting company through which he regularly worked his way up for ten years, working as a Consultant, Manager, Market Leader and Marketing and Communications Manager, joining the Leadership Team of one of the specialised Divisions in 2013 . Keen to be part of a new project, he joined URVIKA in 2015 to oversee its development in the Great East of France, based in Strasbourg. 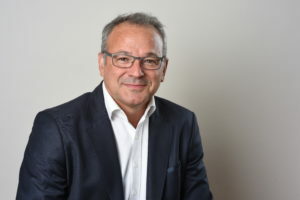 He works on recruitment and assessment projects for Directors, Managers and Experts in the Industry, Services, Consumer Goods and Healthcare sectors on behalf of large companies and SMEs. 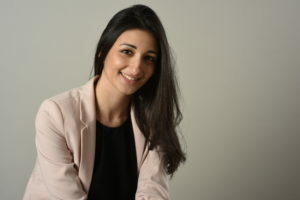 Following a double Licence diploma in Law and Political Science supplemented by a curriculum in Human Resources Management, she started with a Recruitment Firm as an assistant in a position involving multiple responsibilities. 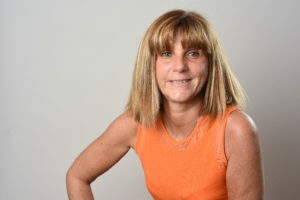 She joined URVIKA in autumn 2011, and is in charge of in-person and telephone reception of candidates and customers, and administrative management. While keeping her missions regarding administration of sales and follow-up of the suppliers, she becomes, in 2014, Training assistant then Manager service, in charge of the support of the Consultants in the elaboration and the follow-up of the offers, the logistic organization of the training courses, the realization of tools and supports and customer relationships, and communication of the Group on the social networks. 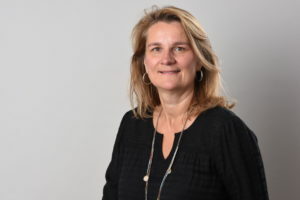 Possessing a master’s degree in Occupational Psychology, she completed her education by doing a Master’s 2 in human resources at the Lyon IAE (Institute of Professional Administration). 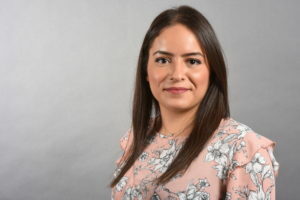 After an interim year as a Recruitment Manager and a work-study year as an assistant in HR development, she joined the URVIKA Group in 2014 as research manager. She works in tandem with Consultants on direct approach missions for executives and managers in all business sectors. Her ease in English enables her to intervene in international contexts. Holder of a Professional Qualification Certificate at the EFFAC (French School for Reception Training), she was a Reception Officer for 9 months with Russel Reynolds Associates, an international Executive Search Cabinet, before joining the URVIKA Group in Paris in 2017 as an Assistant. In her present position, she is responsible for the physical and telephone reception of customers and candidates, and works alongside Search Officers and Consultants in sourcing (CV banks, social networks), database administration and mission follow-up. She participates in the administrative organisation of the Cabinet and handles relationships with suppliers. Her stays in Ireland and London have made her fluent in English. With a Master’s 2 professional degree in “Disabilities, Inclusive Education”, she completed a 6-month work/study programme as corporate relations officer with a Professional Retraining School for servicemen and workers with disabilities. She then took up the position of operation assistant for a service provider group specialising in corporate reception professions. Following a period as a recruitment and admissions officer for an IT School, she joined the URVIKA Group in January 2018 as a Search Officer. She works in tandem with Consultants on missions for the identification and selection of managers, executives and experts in the sectors of services, new technologies and IT, industry, mass consumption and transport. With an economic and social Baccalauréat, with international Italian option and a specialisation in Commercial Unit Management, she acquired Executive Assistant BTS (higher technician certificate) with the IGS Group. An Executive Assistant with JTEKT Europe’s purchasing department for 2 years, in 2018 she joined the URVIKA Group in Lyon as an Assistant. As such, she is responsible for the physical and telephone reception of customers and candidates, and works alongside Search Officers and Consultants in sourcing (CV banks, social networks), database administration and mission follow-up. She participates in the administrative organisation of the Cabinet and handles relationships with suppliers. She speaks several foreign languages fluently (Italian, Spanish, English). Holder of a Bachelor’s degree in Human Resources obtained during a work/study programme as Search Officer for a Recruitment Cabinet specialising in executive, middle management and technical expert profiles, she decided to expand her field of expertise in the recruitment sector by joining the Urvika Strasbourg group in September 2018 and to participate in the development of the Cabinet in the East of France. She works in tandem with Consultants on missions for the identification and selection of managers, executives and experts in the sectors of industry, mass consumption, services and health. She is a fluent German speaker which is a valuable asset. Holder of a Business Computing BTS (higher technician certificate), a Bachelor’s degree in economic and social administration, and a Human Resources Manager Certificate, for 4 years he held the position of Human Resources Assistant with a Human Resources and Organisation Consulting Group specialising in the creation and management of employer groups before joining a major international IT consulting firm as a Recruitment Officer. Wishing to take up new challenges and confront new business sectors and corporate contexts, he joined the URVIKA Group in 2017. As a Search Officer, he works in tandem with Consultants on missions for the identification and selection of managers, executives and experts in the sectors of services, new technologies and IT, industry, mass consumption and transport. As part of his Bachelor’s degree internship as Human Resources Management Officer, in 2017 he joined the Sourcing cluster of the URVIKA Group. He is currently completing his training with a Master’s 2 degree in Human Resources Management as part of a work/study programme with URVIKA due to end in 2019. He works in tandem with Consultants, and is involved in the search for and qualification of sales, technical and IT profiles in a variety of business sectors. Holder of a Master’s Degree in Management at the Clermont Ferrand Business School, he spent two years as Recruitment Manager in a firm specializing in mass distribution, in both food and specialist products, and in commercial functions. 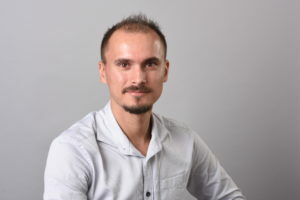 He joined the URVIKA Group in 2014 as a research manager. He works in tandem with Consultants on missions for identifying and selecting managers and executives in distribution, transport, industrial, services and communication sectors.